doubts is if I got selected in central police forces, is it possible for me to go to R&AW as a field officer? Unlike other vacancies why R&AW is not giving open notice for vacancies? What will be job profile for the field officer in R&AW. in the CRPF you will get to know about such recruitment. A good number of officers are taken on deputation from IB too. 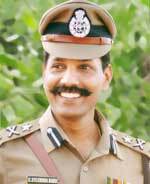 The best way is to get into IPS and go straight to a senior post.